The New Moon in Aquarius began at 9:39AM ET, offering us an opportunity to re-set intentions and goals for the next lunar cycle. Around February 15th, on the First Quarter Moon, we can expect a challenge to those goals, with appropriate adjustments made. At the time of the Full Moon on the 22nd, we can expect illumination on the success or failure of our goals for the cycle. If we succeeded, we can consciously release our success into our reality; if we failed, we let go of whatever did not work. After the Third Quarter Moon on March 1st, we can review our achievements, tie up loose ends and get ready to begin another New Moon cycle on March 8th (which will also be an eclipse, FYI). Aquarius is a airy (mental), fixed (organizing) energy. Where Leo, its opposing sign, is concerned with personal creative expression and recognition, Aquarius needs to focus on the expression needs of a particular group or group consciousness. For some reason John Stuart Mill and his idea of doing “the greatest good for the greatest number” pops into my head, even though Mr. Mill had no planets in Aquarius. He was a practical yet visionary Taurus, with Mercury and Mars in easy alignment with Jupiter in earthy Capricorn. We’d expect him to walk his talk, and he had plenty of provocative things to say, still relevant nearly 200 years year later. We humans are slow learners, in spite of our whiz-bang technology. Keywords for Aquarius include innovation, eccentricity, friendship, humanitarian, unconventional, rocket scientist and/or mad genius. If you were born with the Sun in Aquarius, you have the energy to innovate and intellectualize with others. If your Moon is in Aquarius, you need to be socially significant — and dare I say appreciated for it. 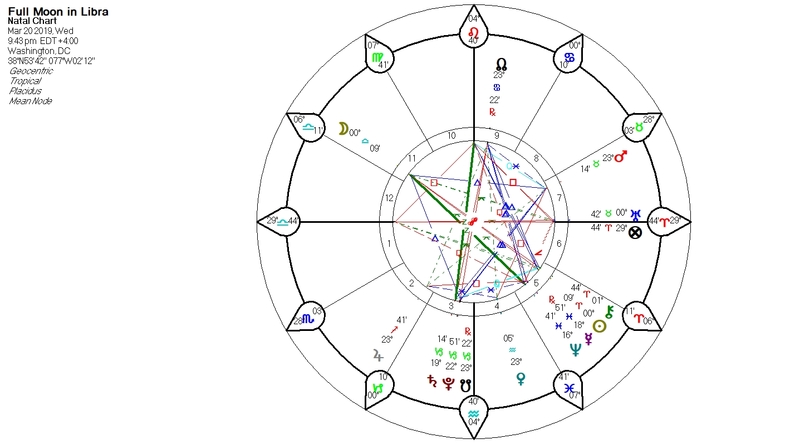 The chart for this New Moon has Uranus, ruler of Aquarius in a cooperative connection with the Sun and Moon, suggesting innovative, status quo-disrupting ideas affecting the masses are likely to be key throughout this lunar cycle. With Saturn (old guard) in alignment with Uranus (avant garde), we can expect these ideas to attempt to re-invent the wheel. That applies in your own personal world, too — especially if your horoscope has a planet or angle around 20 degrees of Aquarius — and to some extent Leo, Taurus and Scorpio. Don’t know where your planets are? Then why not order an Astro-Basics Report — or schedule a personal consultation with your local astrologer, who will be happy to explain it all for you. What might be inspiring our efforts to reinvent the wheel? Whatever flashes of insight and/or shock to the system we may have received last week — and especially the weekend — regarding relationship — with the public, a significant other or ourselves. What cuts need(ed) to be made? What truth(s) needed to come to light? How will that impact your relationships? The Sabian Symbol for the New Moon — at 20 degrees of Aquarius — is “a big white dove, a message bearer”. As usual we turn to Sabian Symbol guru Blaine Bovee for additional insight, who notes this image is “one of communication borne by a creature of the sky; a peaceful message from a heavenly source.” Interestingly, he also notes that that “white” is seen when light is reflected “without sensible impression of the visible rays of the color spectrum”. Color blind? Hmmm. Politically, Bovee notes that white is a “conservative” color — as opposed to the “fiery” hue of “radical inclinations”. Spiritually, Bovee associates white with “purity”. And then, just to confuse everyone, he notes that “white” can in fact be burning — as in “white-hot”…or cool, refreshing and pure as the driven snow. How are we to apply this Symbol? What might we see reflected in the headlines? On the upside, Bovee suggests “genius that finds the sacred everywhere…listening for unique language; messages of relief precipitated by intense, burning reverence”. Also to the upside: “a strong sense of community”. On the down side: intense extremes…and “affinities for a host of world-religion motifs”. However it manifests, I hope we’ve seen the end of the long list of beloved music greats who took their leave last month, beginning with David Bowie. That seemed to be an eerie but apt reflection of last month’s New Moon Sabian Symbol, “a hidden choir singing”. As an eternal optimist, this month I will glom on to the part about messages of relief and a strong sense of community, so true to the spirit of a New Moon in Aquarius. The “messages” theme is echoed by Mercury (mind, communication), which will be back at 0 degrees of Aquarius on February 13th, which is where it turned retrograde on January 5th. So by the end of the week, we should be back up to speed, having integrated whatever deep review we went through in January, with special attention paid to the revelations that came to light during the last week of the month. Got that? FYI, Sarah Palin’s Mercury is 0 degrees Aquarius. Perhaps she’ll have a message for us later this week, too. More on today and the rest of the week. The Aquarius New Moon went immediately void (9:39AM ET), offering us an opportunity to chill and ready our intentions for launch once the Moon is fully engaged in Pisces. That happens at 3:31AM ET on TUESDAY, when the only exact aspect we’ll have is a meet-up with visionary Neptune at 6:03PM ET. A day to go with a sensitive, focused flow? If you think of the Moon as a pinball bouncing off bumpers (which symbolize the other planets) in an-old-fashioned pinball machine, Wednesday’s pinball Moon bounces six times through the day, before falling back to the bottom of the machine for a reload. Translation: higher potential for a faster pace and more action. The time it take for the pinball to reach the bottom of the machine corresponds to the duration of the Moon void. Can you appreciate how the energy of the falling pinball is different that when it bounces with direction and force off of the bumpers? Wednesday’s void begins at 11:25PM ET; it ends at 4:55AM ET, when the Moon races into Aries, driven by a need to lead and inspire. Also on Wednesday — at 2:54AM ET — Venus (love, women, money, values, social expression, aesthetics), after being supercharged over the weekend, gets a little boost from expansive Jupiter. Many astrologers might say that a harmonious aspect between the two planets traditionally associated with good fortune is peachy keen-o. If you have a planet around 22 degrees of Virgo, Capricorn or Taurus, let us know how the day flows. My plan is to recap the news in a post later tonight or tomorrow. Lots of fun stories to share. Oh — all right — here’s one to savor until I can pull the rest of them together. I confess I did not watch the debates among either party’s candidates over the weekend. But I did note the write-ups and I especially noticed this video showing the awkward, flaky, spaced-out start of the Republican debate on Saturday. Watch it, and — quick — what planetary patterns immediately come to mind? If you answer “Moon void! Strong Neptune!” then I am very proud of you. That’s what I thought before I even looked at the chart for Saturday, February 6th at 8PM in Manchester, NH. 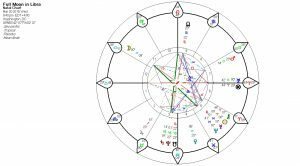 And indeed, the Moon was void — and Neptune was in an obsessive-compulsive relationship with an important angle of the chart. Isn’t that fun? Other patterns add to the potential for an implosive debut. Apparently the debate was quite combative, aptly reflecting the witchy-bitchy potential suggested by planetary patterns. I did not take the time to see how the patterns were impacting the horoscopes of the debate contenders. Astrology is amazing. Thank you for reading this forecast. Thank you for sharing it with the rest of the Free World.